Slip and Fall Accidents | How Do You Get Paid? Unfortunately, many property owners and managers do not do the required work needed to make sure that their space is safe to work, walk, and live on. There are cases every day of injury due to poorly maintained or lighted walkways and floors. When such an injury occurs, it is important that the victim recognizes the tools that are available to get their life back arranged and any potential compensation for their injuries. When walking, the last thing you want to worry about is falling on a slippery aisle or poorly signed corridor. Injuries can range from anywhere from soft tissue damage to those that lead all the way to paralysis. Injuries that need long term care can be onerous to the victim and cause significant issues for a space from days to months to years. All told, these issues are compounded when the careless party or an insurance company refuses to work with the victim. These are reasons why prompt and professional legal aid is so needed. When facing down the results of such an injury from falling or slipping http://losangeles.ehlinelaw.com/slip-and-falls/, an experienced law firm such as one run by one of our member attorneys, can be a godsend. Most of our lawyer members work on contingency, not asking for a penny unless they recover for you. They will often also seek out, and if necessary, find lien doctors to help pay for up front medical costs and even front you money for investigation needs. These lawyers are the elite. They will negotiate with the insurance company to make sure that you are getting a fair shake and will always try to settle the case without a trial if possible. Our members who accept your case will typically handle every part of your case. They will often advance money so that they can work with investigators or other experts to determine why the space was unsafe to use in the first place. Our qualified members usually will have the skill and training to review records, perform safety reviews, and seek out video and photo evidence of the incident site. They, as necessary, can collect all of this evidence to present either before or during a court case for the best possible outcome. 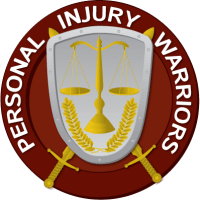 Most excellent personal injury attorneys have been able to effectively work with, or around the opposing party and their insurance companies, in order to make sure that their clients are well taken care of. For more information or a free consultation, please contact one of us today.